Background/Purpose: Patients treated for cancer with immune checkpoint inhibitors (ICI) can develop a variety of adverse events. Inflammatory arthritis (IA) is an increasingly recognized event that can persist after cessation of ICI therapy. Patients face a unique clinical experience of having not one, but two functionally consequential illnesses, advanced cancer and IA. We aimed to evaluate the patient experience of ICI-induced IA. Methods: Participants were identified from a longitudinal cohort of patients with rheumatologist diagnosed ICI-induced IA. We aimed to explore the processes of diagnosis and treatment, symptoms and impacts of ICI-induced IA, coping mechanisms, and the treatment decision-making process through semi-structured one-on-one interviews. Two researchers performed inductive thematic analysis independently on a subset of transcripts, identified and reconciled codes which were then applied to all subsequent transcripts. The final hierarchical coding structure was developed through data review and discussion among three researchers. Results: Ten patients with ICI-induced IA participated in one-on-one interviews. The mean (SD) age of participants was 54 (12.1) years, and five were women (50%). Melanoma was the most common underlying cancer (N=5), with hematologic malignancies and other solid tumors also represented. Eight patients (80%) had additional adverse events from ICIs, including colitis, pneumonitis, thyroiditis and hypophysitis. Five main themes were identified: the complex and often delayed process for diagnosis, the significance of IA compared to other side effects, the physical and emotional impacts of IA, complex decision-making processes for treatment and continuing ICI therapy, and differing perceptions of social support for IA versus cancer. From these themes, we propose a conceptual framework for patient experiences with ICI-induced IA that highlights the awareness gap of ICI-induced IA as a potential side effect, the support gap from peers, and the complex decision making for patients (Figure 1). Conclusion: In this novel qualitative study of cancer immunotherapy patients, ICI-induced IA has a significant impact physically and emotionally, even as compared to other side effects of ICIs. Patients experienced delay in diagnosis that they attributed to lack of awareness of this condition. Fear of their cancer returning influenced the treatment decision-making process. Disclosure: L. C. Cappelli, Bristol-Myers Squibb, 2,Regeneron/Sanofi Genzyme, 5; S. Grieb, None; A. M. Orbai, None; A. A. Shah, Bristol-Myers Squibb, 5; C. O. Bingham III, Bristol-Myers Squibb, 2, 5. 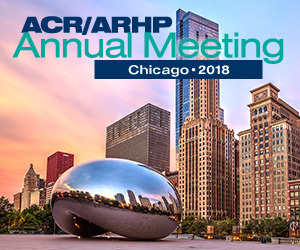 Cappelli LC, Grieb S, Orbai AM, Shah AA, Bingham III CO. “I Was Prepared for the Other Side Effects; I Wasn’t Prepared for This One.”: A Qualitative Study of the Patients’ Experience of Inflammatory Arthritis Due to Immune Checkpoint Inhibitor Therapy for Cancer [abstract]. Arthritis Rheumatol. 2018; 70 (suppl 10). https://acrabstracts.org/abstract/i-was-prepared-for-the-other-side-effects-i-wasnt-prepared-for-this-one-a-qualitative-study-of-the-patients-experience-of-inflammatory-arthritis-due-to-immune-ch/. Accessed April 19, 2019.